The Identity Panel web application that runs on IIS and .NET. It is hosted by the customer on their Windows Server running IIS and .NET Core, OneDesign, or by SoftwareIDM using the Azure Marketplace. It is a single web service for both web and API requests, including those from Panel Service. 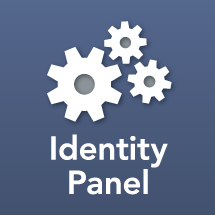 The Identity Panel web application is licensed under the Identity Panel Core Framework.